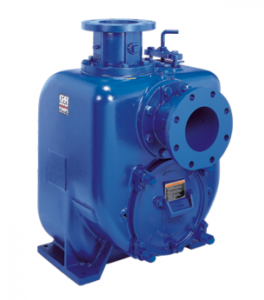 Phantom Pumps is proudly recognized as the pump manufacturer that offers fluid processing organizations cost-effective solutions to the ever rising costs related to high-priced industrial pump equipment from Gorman-Rupp Pumps and other leading manufacturers in the industry. Phantom Pumps self-priming centrifugal pumps are manufactured to meet and exceed the highest industry standards. We always assemble, test and package our pumps in the United States to ensure our strict quality standards are met. All pumps in Phantom Pumps High And Low Pressure Pump Lines are compatible and interchangeable with one or more Gorman-Rupp Pumps, Durco, ESCO Pumps, All Prime and/or Warman pump models. High-quality PL-Series Phantom Pumps self-priming pump models with maximum solid handling up to 3 inches are compatible and interchangeable with higher-priced T and Super T Series® pumps. Both Phantom Pumps PL-Series pumps and T Series Gorman-Rupp pumps are available in 2”, 3”, 4”, 6” and 10” sizes. Phantom Pumps also offers 12 inch sized PL-12 models. PL-Series pump equipment is also interchangeable with many LP Series ESCO Pumps and S Series All Prime models. Phantom Pumps PH-3, PH-4 and PH-6 Series models are the compatible high pressure pumps of choice for processing professionals who are seeking to replace Gorman-Rupp Pumps models. Organizations throughout the United States with service departments located in Florida, Georgia, Alabama, South Carolina, North Carolina and beyond are also reducing repair and maintenance related costs by substituting Phantom Pumps replacement parts during scheduled maintenance or repair services of Gorman-Rupp pumps and other brand name pumps. To learn more about lowering your operational costs with exceptional Phantom Pumps centrifugal pump equipment and replacement parts, while still improving productivity at your fluid processing operation, contact an experienced, knowledgeable and friendly processing equipment specialist at Phantom Pumps today. Our team of experts is ready and available to assist you with any questions you may have about our products and services.